Dinah Shore charms, Harry James toots around on his horn, and Johnny Mercer rounds out the group with sweet tunes and Hollywood happenings. Phillip Morris pulled out all the stops with beautiful music and bountiful banter between hosts. The show aired Friday nights and performed old time goodies as requested by fans in front of a live audience. After striking out with some of the biggest names in music (Benny Goodman and both Dorsey brothers), Dinah Shore went out on her own and became one of the first femaleperformers to make solo success with over 80 radiohits. 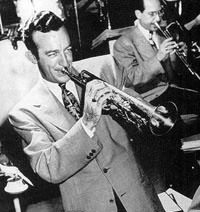 Harry James was one of the most popular big band leaders and collaborated with many top-name performers including Frank Sinatra, Buddy Rich, and Benny Goodman. 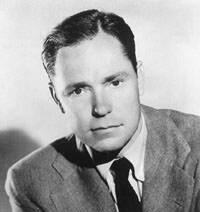 Johnny Mercer wrote lyrics for over 1,000 songs and received nineteen Academy Award nominations. Together they make a swell and happy team slipping into song entertaining radio audiences. See also Philip Morris Playhouse, Best of All, and Choose a Song Partner. Be the first to comment on "Call for Music"